The Garden is located between 400 Central Avenue and Chestnut Street along the banks of the Cocheco River and forms a series of beautiful gardens filled with wildflowers, unique rhododendrons, mountain laurel, hostas, daylilies and countless other plants, many relocated from Parks’ own gardens. Formerly a neglected area along the river, the Riverwalk Garden was planned by Dover horticulturalist Joe B. Parks, built by more than hundred volunteers, and dedicated in June 2008. Joe was extremely proud of the fact that all of the work at the Riverwalk Garden was done by volunteers. The garden features a Japanese Garden installed and maintained by Dover High School horticulture students, Lorraine’s Corner, a meditation and healing garden installed and maintained by Amy’s Treat and dedicated in memory of Dover resident Lorraine Goren and several sculptures created and installed in the garden by art students from Dover High School. Each garden is maintained by a volunteer garden tender. Click here to see a photo gallery of the garden. Afflicted early with a disease called “gardening,” Joe spent years working with plants, studying, propagating, and hybridizing them. 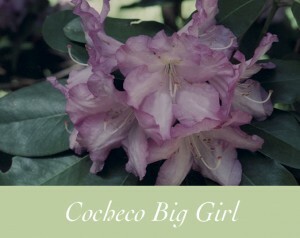 He developed and registered more than 20 new azaleas and rhododendrons. He loved nothing more than sharing his gardens and his knowledge with other plant-lovers. During his years in Dover Joe taught gardening classes for the Dover Adult Learning Center, partnered with the Rotary Club of Dover to revitalize public gardens on Garrison Hill, in Henry Law Park, and at the Woodman Institute, worked with students from Dover High to design and install a Japanese garden at the Riverwalk, wrote a gardening column for Foster’s Daily Democrat, and conducted plant-by-plant tours of his gardens. 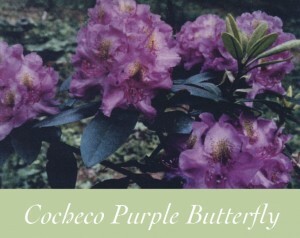 He served as President of the Massachusetts Chapter of the American Rhododendron Society and was a founding member of the Maine Coastal Botanical Garden. We invite you to visit the garden often. Access is at 400 Central Avenue or through the Orchard Street Parking Lot off Chestnut Street. Thank you to the hundreds of volunteers and supporters that made this special place possible including Dover Main Street Program, City of Dover and Dover Rotary Club. 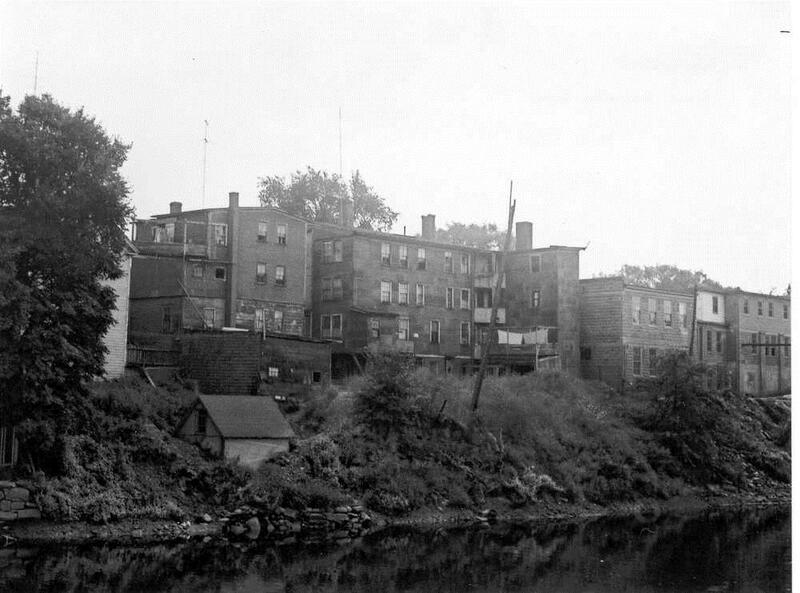 The history of this area dates back to Dover’s earliest days when Major Waldron deeded this land all the way up Washington Street to the Tolend to Peter Coffin, a sawmill owner, and prominent citizen, ca. 1650. Coffin’s garrison was atop the hill at Orchard Street and was burned and pillaged along with several other Dover garrisons during the Indian Massacre of June 1689. However, unlike Major Waldron, Peter Coffin had treated the Indians fairly in the past, so his and his family’s lives were spared. This land, largely undeveloped and covered by woods and lush orchards, remained in the Coffin family until Peter’s great-granddaughter Deborah’s death in 1838. While the east side of Central Avenue from Central Square north to Morrill’s Furniture has, for most of its history, housed mill-related functions, the west side of the street has always been commercial. Marston’s (later Union) Block was at the corner (now the old Stafford Banks building) from 1844 to 1895; Varney’s Block (364-374 Central Avenue) also constructed in 1844, still exists. The next two brick blocks, recently restored, were called Merchants’ Row when they were built in 1828-29 by the Cocheco Manufacturing Company. East and West India goods, barbers, milliners, tailors, and apothecaries sold their wares here. Next to Merchants’ Row and adjacent to the bridge, there was originally a wooden building built in 1822. Tredick’s store was here in 1830 and in 1834, Jacob Purington moved his hat store to this location. The business was taken over by John T.W. Ham, “Ham the Hatter”, in 1877 and the building rebuilt with brick in 1900. Mr. Ham did not retire until 1924. Isaac B. Williams started his leather belting shop in rooms in the Cocheco Mills in 1842. In 1875, needing more space, he moved to an abandoned three-story shoe shop on Orchard Street. Additions and renovations were made every few years until the factory had 70,000 square feet of floor space and ran 100 feet on Orchard Street and 315 feet on Waldron Street. After Isaac’s death in 1885, his son Frank took over and the company’s business grew to over $2 million annually, both here and abroad. Frank Williams was succeeded by his son-in-law, Philip C. Brown, who ran the company until 1958. I.B. Williams and Sons continued in business until the early 1960’s, but after the sale of the factory buildings in 1945, they moved to the mill buildings on Washington Street and no longer manufactured products but only acted as brokers. In 1945, the buildings and machinery on Orchard Street were sold to Isadore Osman and George Limon who renamed the firm United Tanners. The buildings were re-equipped with machinery for making side leather used in shoes and handbags rather than belting. The tannery closed in 1976 with 125 employees and the buildings were subsequently torn down. Between 1974 and 1978, the city of Dover undertook a $9 million urban renewal project that encompassed the Orchard, Waldron, Myrtle, Chestnut, Fayette, and Green Street areas. 15.8 acres including 119 dwelling units, 56 buildings, and 33 businesses were razed. Waldron and Myrtle Streets were eliminated and the entire face of the neighborhood, which had become dilapidated, changed dramatically. Several buildings were saved by restoration-minded citizens: the Trela and O’Neil houses (early 1830-40 examples of mill housing which back up to the Riverwalk), the old Central fire station (now a restaurant), and the Public Market building (facing Washington Street).